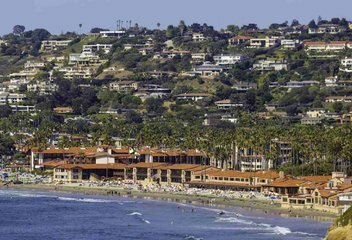 Included below are beach homes for sale in La Jolla. If you would like more information on any of these La Jolla beach house real estate listings, just click the "Request More Information" button when viewing the details of that property. We can provide you with disclosures, past sales history, dates and prices of homes recently sold nearby, and more. And, if you haven't already, be sure to register for a free account so that you can receive email alerts whenever new La Jolla beach house listings come on the market. When searching La Jolla beach homes for sale you will find beach houses are located in La Jolla Shores, La Jolla Farms, Windansea Beach, and the La Jolla Village/Cove. In the Shores and Windansea Beach area, the most desirable beach homes are located west of La Jolla Shores Drive in the Shores and west of La Jolla Boulevard in the Beach Barber Tract. Along La Jolla's seven mile shore you will find 9 notable beaches in La Jolla. These nine beaches are Black’s Beach, La Jolla Shores Beach, La Jolla Cove Beach, Boomer Beach, Shell Beach, The Children’s Pool, Wipeout Beach, Marine Street Beach, and Windansea Beach. Windansea La Jolla is home to the Winansea Surf Club, the underwater surface of WindanSea Beach has a unique surf break in Southern California with a reef break similiar to one found on the North Shore of Hawaii. The Windansea beachfront area begins north of Palomar Avenue and extends south of Westbourne Street.